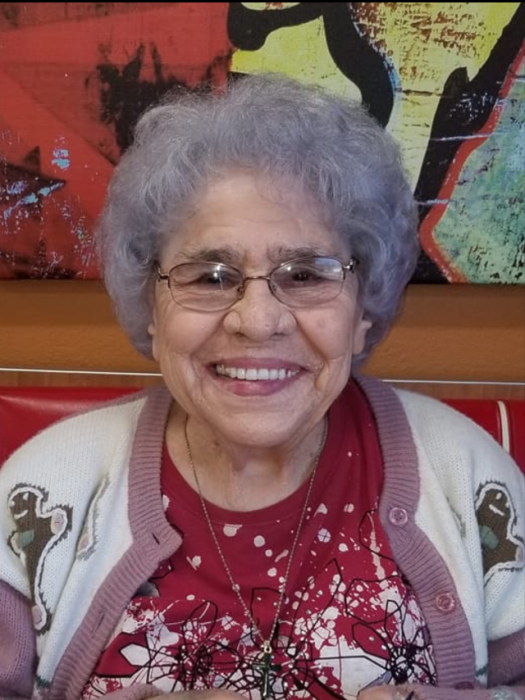 Pearl Chandler Wyatt, age 92, of Pelham, NC, went home to be with The Lord on Saturday, April 6, 2019, at SOVAH-Danville. She was a wonderful mother and a prayer warrior for her family. Mrs. Wyatt’s faith in the Lord was unwavering. Mrs. Wyatt was born on December 6, 1926, in Danville, VA, a daughter of the late, Charlie A. Chandler and Theodocia Crabb Chandler. She lived most of her life in Danville where she was employed for 30 years with Dan River Mills, she later worked for 15 years at the Fieldcreast Mills in Eden, NC. She was a member of Sheldon Baptist Church where she served as a Sunday School teacher for 40 years. Mrs. Wyatt’s church and church family meant more to her than words can express. Mrs. Wyatt is survived by her children: Betty Fulton Pruitt (Ray), Patricia Fulton Coward (Jerry), Susan Fulton Gillispie, John Arthur Fulton (Nancy), and Charles Franklin Fulton (Tammy); daughter-in-law, Linda Fulton; sisters, Virginia Snow and Mary Herndon; seventeen grandchildren; forty-four great-grandchildren; twenty great-great grandchildren; and an extended church family. In addition to her parents, she was predeceased by her first husband, James Fulton; second husband, Sam Franklin Wyatt; children, Jackie Mae Fulton Earles and Tony James Fulton; sons-in-law, Bobby Earles and Danny Gillispie; four grandchildren; two great-grandchildren; sisters, Mozelle Stewart, Doris Cox, Thelma Hopkins, Frances Nuckles, and Barbara Ann Blackwell; and brothers, Charlie Eugene Chandler and Richard Chandler. Funeral services will be conducted at 2:00 p.m. on Tuesday, April 09, 2019 at Sheldon Baptist Church, 2486 Old U.S. Hwy 29, Pelham, NC 27311with Rev. Timothy Anderson officiating. Visitation will be held from 7:00 p.m. until 8:30 p.m. on Monday, April 08, 2019 at Sheldon Baptist Church. At other times, the family will be at the residence, 141 Timber Lane, Pelham, NC. Interment will follow in Danville Memorial Gardens. Swicegood Funeral Service is respectfully serving the Wyatt family.